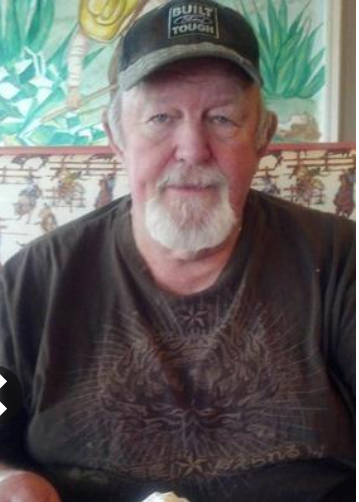 Charley (Chuck) Richard Jones, 70, passed away April 7, 2015. He was born February 19, 1945 in Addicks, TX to Ewin and Bessie Jones. He grew up and raised a family in Marquam and retired in Salem. He enjoyed hunting, fishing and spending time with family; most recently his youngest grandson, Leeroy. He is survived by his wife Leslie Jones; children Charles Jones, Tristin DeFrancesco, Melissa Long, Cammie Wilson and Katie Bryan; grandchildren Shelby and Ryan Long, Jennifer, Stephanie, Marc, Alexa and Vincent DeFrancesco, Joneh and Nathaniel Jones, Connor and Faye Wilson with new sibling due this year, and Leeroy Winner; brothers Donald Jones and Lee Jones; sisters Retta Larsen, Mary Diedrich, Cora Litteral, and Della Mitts. There will be a viewing from 2:00 pm to 8:00 pm on Wednesday, April 15, 2015 at Unger Funral Chapel in Silverton, and the funeral will be held at 2:00 pm Thursday April 16, 2015 at Miller Cemetery with a celebration of life party immediately following at the Scotts Mills Grange Hall.